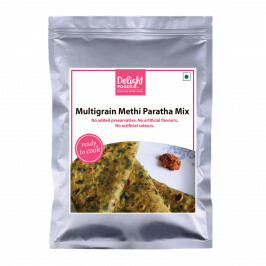 Our quest to bring you the finest quality Maharashtrian Ready Mixes is complete! Now, you too can enjoy the traditional Maharashtrian delicacies within minutes. Sabudana Vada is an authentic, deep fried snack from Maharashtra. It is most commonly consumed during Vrats and Poojas. Sabudana gives a yummy flavour and texture to the vada. 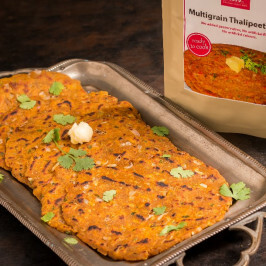 This Vada is a delight when eaten hot with a cup of curd or chutney. However, preparing this snack takes a lot of time and effort. But worry not, with our new ready mix, you can enjoy these delicious vadas within an 40- 50 mins. Best quality ingredients are processed and mixed in ideal proportion to retain the traditional flavour. No preservatives, chemicals or artificial flavours are used in the processing of this ready mix. Check the back of the pack to get a detailed instruction on making Sabudana Vada. Veg| Best before 6 months from the date of packing and store in an airtight container. Sabudana (sago pearls), Dehydrated Potato, Peanuts, Cumin, Dehydrated Green Chilies, Sugar, Salt.